For over thirty years, Mosdos Bobov Toronto has been a bastion of Torah and chassidus, servicing people of all ages and walks of life. Through its kollel, cheder, and beis medrash, Bobov continues to bring the warmth and vibrancy of Torah v’avodah to the community. Today, Bobov serves the community with a vast array of programs, classes, and events in addition to running a burgeoning cheder of close to two hundred students and twenty-eight devoted staff members as well as its renowned kollel avreichim with twenty-six full-time members. 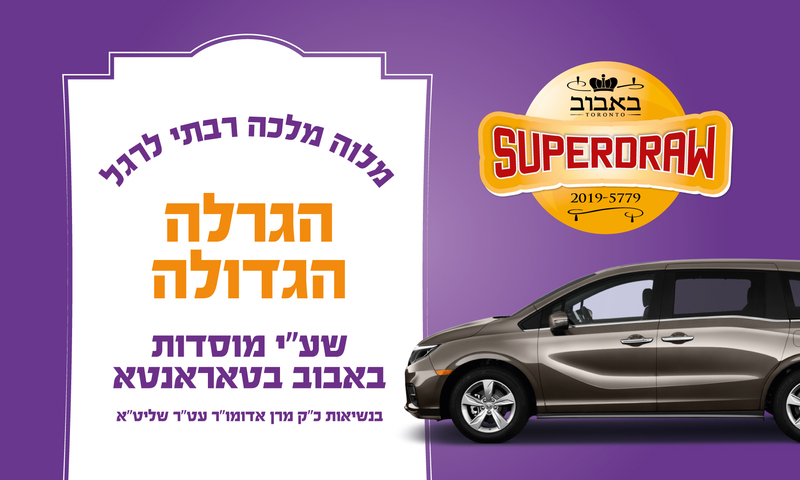 We had the zechus to be part of Bobov’s SuperDraw for the past six years. Our challenge was to come up with and implement an idea that is different, unique, and sharp every year. This year, we sought to create a campaign that would be bright, sharp, and clean and that was not done before. 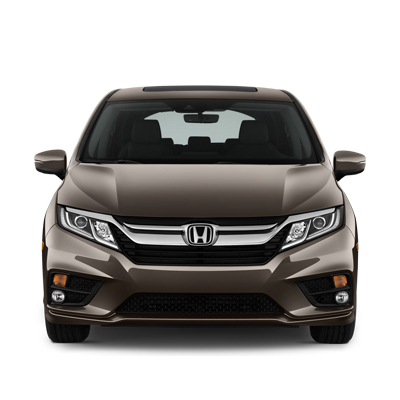 We focused on sharp contrast colors along with a sharp and unique symbol that could be used on all marketing material. 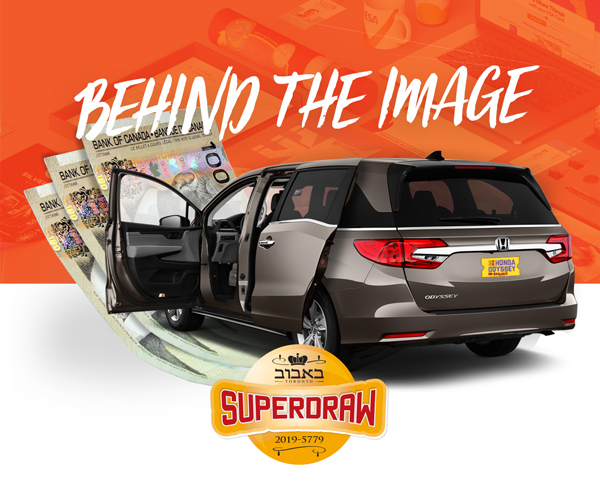 Below, we will walk you through the steps and elements we used in creating the Bobov Toronto’s SuperDraw marketing campaign. 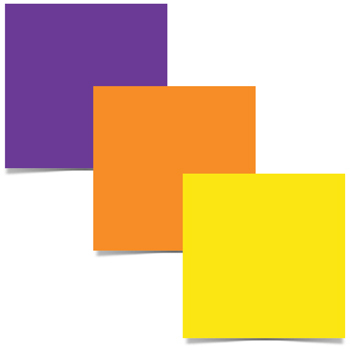 We used bright yellow along with bright purple to create an eye-catching contrast, and then added a spark of red for increased visual interest. 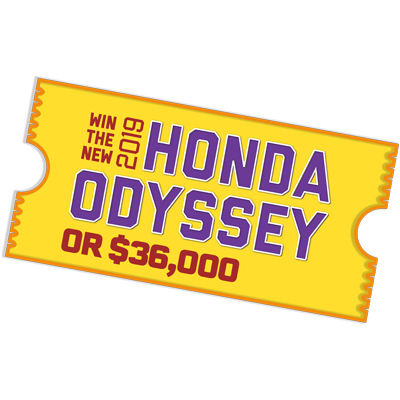 For the symbol, we used a large bright-yellow ticket which would be incorporated in all the posters and marketing material. Clear and sharp pictures of the prizes were isolated on the theme colored background, creating a striking and memorable image. We kicked off the campaign with a series of “teaser” ads in order to create excitement and curiosity, followed by posters that revealed more information and details. We then moved onto creating a unique and exciting raffle ticket. 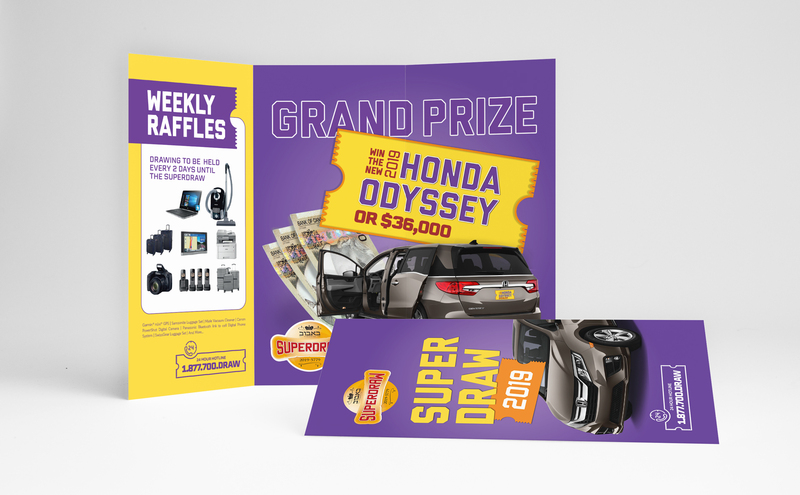 After reviewing the various options, we settled on a tri-fold brochure which gave us enough space to feature the prizes, sponsors, and prices. 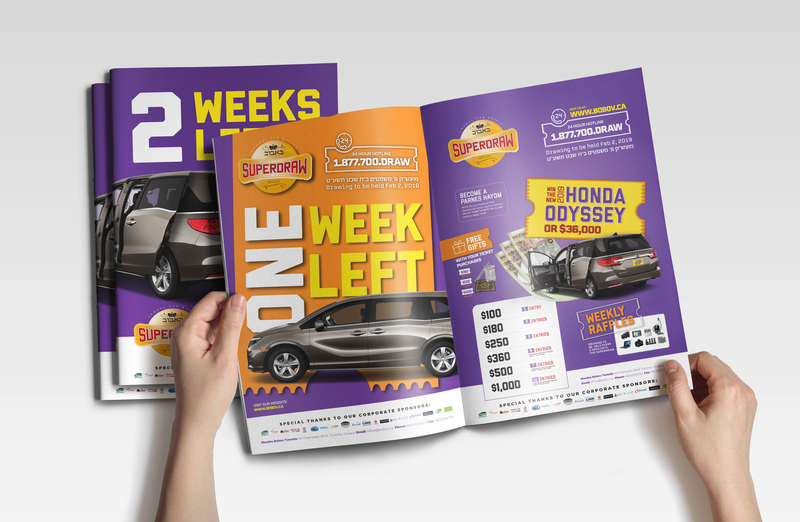 We also focused on creating strong and fun contrasts with colors, images, and fonts. The campaign was up and running, and it was time to make some noise! We produced a different, unique, and exciting poster for each week of the campaign. Each poster followed the campaign theme but added something new and unique. As the campaign was drawing to an end, we added a message of urgency to the posters. Hard work pays off! We feel blessed and thankful to have been part of such a wonderful and successful project. From the day we launched the campaign we immediately saw the impact it made on the community. We were gratified to hear that Bobov Toronto sold a record-breaking number of tickets.